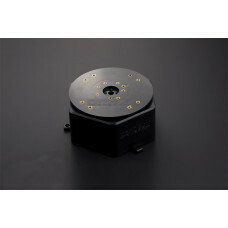 Each order comes with a Servo HAT, a 2-pin terminal block, four 3x4 headers and a 2x20 socket header. 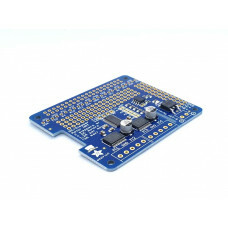 You'll need to do some light through-hole soldering to attach the headers onto the HAT circuit board, but its easy to do with basic soldering tools like a soldering iron and rosin core electronics solder. If you would like to stack multiple HATs onto one Pi, you can also pick up a 2x20 stacking header and a set of right-angle 3x4 headers that should be soldered on instead. Please note! 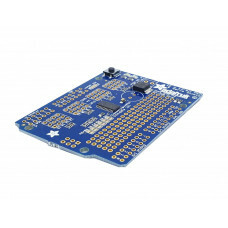 This kit does not come with Raspberry Pi, servos, or required 5V power supply. We have recommendations on the required 5-6V power supply on the tutorial page, and a whole bunch of servo options in the Adafruit shop, any 3-pin classic DC hobby servo will work. 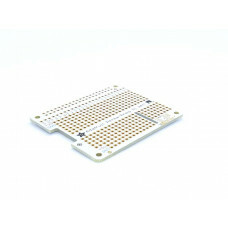 Dimensions w/ components: 65mm x 56mm x 13mm / 2.6" x 2.2" x 0.5"
You want to make a cool robot, maybe a hexapod walker, or maybe just a piece of art with a lot of mo.. The Hexa Base Rotate Kit is perfect for rotating a large mass. 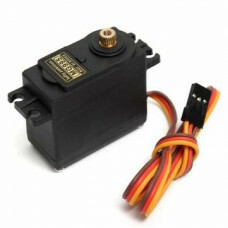 It can easily support 10lbs of weight..
MG995 is a digital metal gear high torque servo for airplane, helicopter, RC-cars from 10 to 6-th sc..